I had a love/hate relationship with psychology courses in college. I was fascinated with the subject (still am) but failed miserably at the multiple-choice tests. If they could have just given me a topic to write about it I would have been fine, but then again I might have become a real psychologist. Good thing this blog isn’t a multiple-choice test. This spring in Mammoth has been a good psychology case study, basically because it hasn’t happened. And spring is an important season for the soul. The record will show it has snowed for the better part of the past eight months. The snow totals from past years are not precise, but let’s just say it is right up there with the biggest year and maybe beyond. Right now the Ski Patrol has us at 649 inches. Yeah, it makes for great skiing, riding and snowmobiling and the real diehards even got excellent powder skiing in the last week. But for many local residents the prolonged season has been psychologically damaging. People get downright cranky and a little crazy (including me), and for good reason. Everybody has their story or take on it. 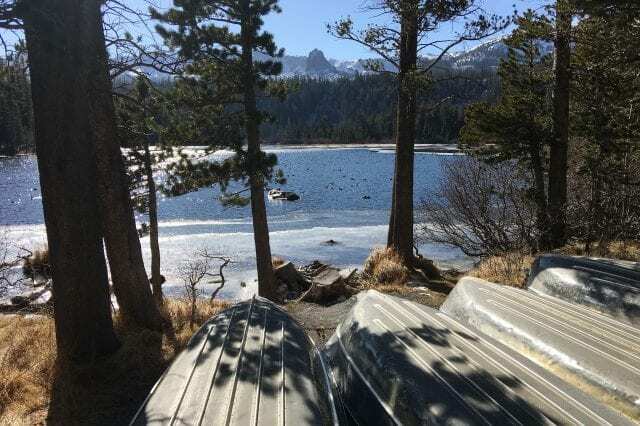 Some long-time locals were distressed but laughing last week because they needed to start getting their firewood for next season, but they had no place on their property to put it because it is still filled with snowpack. And I’ve recently heard many seasoned Mammothites tell me they’re “tired of being cold.” Even the bears are being reported as waking up from hibernation and somewhat confused because everything is still covered in snow. Winter has its place in the annual cycle of human life, and so does spring. Spring is about re-birth, renewal and new beginnings. When winter lasts eight months and re-birth isn’t allowed to happen, the human psychology can get out of whack. We all need that renewal. More excellent ski runs won’t even help. 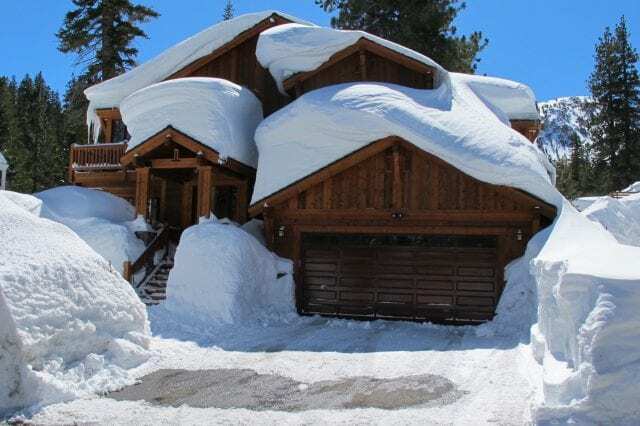 Even worse, many Mammoth locals escaped for their well-deserved post-winter tropical vacation and came back to another month of winter––just what the renewed spirit needs. Spring is the essence of what Mammoth is all about. Recreation is simply to re-create. In fact, I could argue that the true change of seasons we experience in the Eastern Sierra is what helps draw so many southern Californians here. Most of southern California doesn’t really experience the change in the seasons, and psychologically the people need it. Without it they miss some of the underlying rhythm of life. So while all the troubles of the world seem more ominous every day, and we deal with our own problems locally, the universal need to re-create and recreate remains. And my long-time readers know I believe this is what remains the big constant here, the world-class recreation and ability to re-create. This is what has, and always will, drive people’s desire to be here. And the demand is growing. Seems everybody I meet is seeking renewal of some sort or desires to re-boot their lives or hit the giant “reset” button. Or at least they hope they can. Mammoth is being forced into renewal in many ways. Our Town government, like most governments across the planet, is faced with many challenges. The answers are not easy, but they will flow. There will be fewer luxuries for most but no one will be denied the ability to recreate. Maybe we’ll discover what is really important. All of those man made amenities are nice but we live in the middle of some of nature’s finest amenities. Maybe we need to enjoy more of them, more frequently. I know I need to. And we can help show our visitors how to also. Successful re-creating doesn’t necessarily have to come with a big price tag. It’s a lesson we all have to learn. Many local residents, visitors, and second homeowners have known this all along. Call it re-creation focused on recreation. Businesses in Mammoth are facing major re-creating. Customers are more demanding everyday. It’s not “pounding on the table” demanding. They are more educated and informed than ever, mostly due to the Internet. They are more cautious and discerning with the dollars they spend. The people who still have money and can spend in a discretionary fashion, like the ones we serve here in Mammoth, usually still have it for a reason. It’s not because they’re stupid. They also value their time, especially while they are here in Mammoth, because they know it is time to re-create. 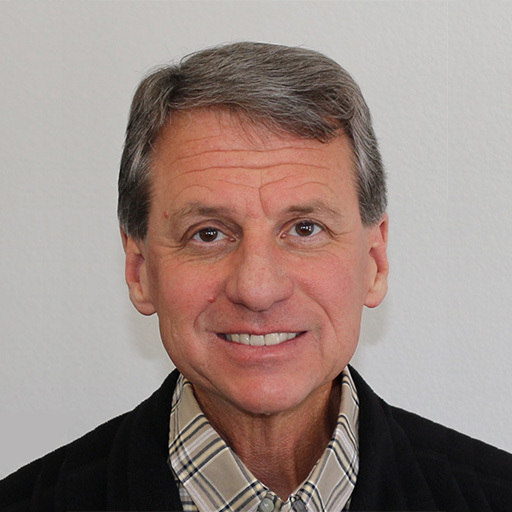 Local business owners are challenged with serving these customers while dealing with an overall seasonal economy, transient workforces, and other high costs. Expect to see more businesses re-creating themselves by downsizing, emphasizing personal service, and growing their online presence. Real estate is re-creating too. The entities that ended up with the vacant development land and the un-finished fractional projects are beginning to try to figure out what to do with all of it. These are corporate real estate minds that have access to capital and they make money by solving problems and making things happen. This is a new breed of Mammoth developer. The real estate has no value if they don’t figure it out. They have to create something new and will have a negotiable Town to deal with. They’re starting to poke around this market, doing research, talking to people. It will be interesting to watch them try to figure it out. This glint of renewal is exciting. 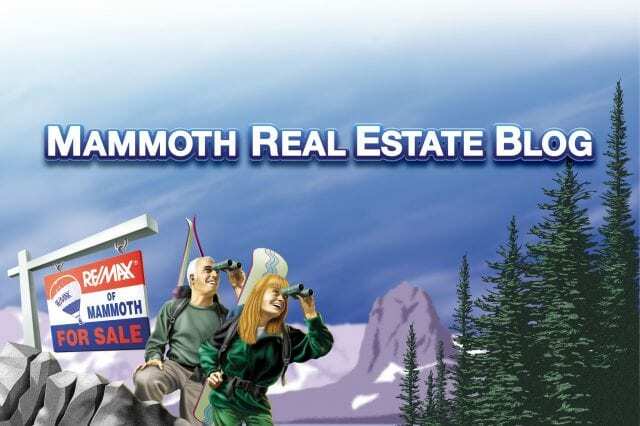 Wonderful real estate re-creation is happening all over Mammoth with buyers purchasing bank owned properties. Many of these properties have been vacant, neglected or abused and now they have newly committed owners bringing them back to life. The more this happens the better. It is happening in all price ranges. It helps the local economy and many will be quality bed tax generators in the future. Now we just have to figure out what to do with all the vacant and underutilized commercial space. Pray for spring, Mammoth needs spring so it can get on with renewal process. As an aside, next week is the 20th anniversary of one of the most memorable and magical ski days of my life. It was the Friday before Memorial Day weekend in 1991. The wind-blown snow conditions on the Wipe Out section of the Mountain were as perfect as they get. But that was a very strange season. That was before season passes were bought by hordes of people. In those days you really didn’t buy your pass until the conditions warranted it, and the winter of 1991 was preceded by four drought winters (“drought” is a hard concept to grasp right now). But I had a ski pass, a gift from a really appreciative client. 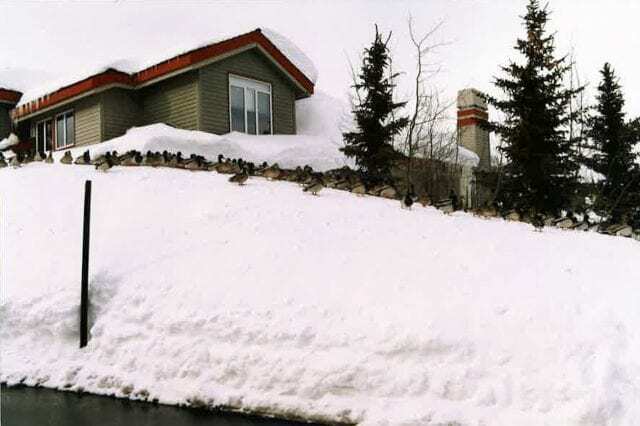 But that was the winter it didn’t really snow, until March, and then we had almost 200 inches. Nobody bought passes, and everybody was pretty much broke so a spring pass was out of the question. So there I was, skiing the famous wind-blown snow and there was nobody there. I remember getting on Chair 23 and looking up the chair line and seeing nobody on the chair, and nobody on the face runs. It was eerie and delightful at the same time (but great ski runs are to be shared with others). I’m sure some skiers and riders have had almost similar experiences in the past couple of weeks. You can lose many things in life, but you don’t lose memories like that. i felt incredibly (more) zen just reading that . So, what you are saying is that a market crash in Mammoth is coming? Dylan just turned 70, coincidence?